How many times have you told yourself, “I should _______.”? Or what about, “Tomorrow I will ___________.”? It is not uncommon for people to teeter on the edge of “doing” and “contemplating” for a very long time. In fact, many people operate this way. We know what we “should” do in order to gain health, feel more grounded and vibrant. But the “should haves” often times get the best of us, and take up the energy we could be putting into DOING. I was the queen of this. I know how it works. If we slow down, ignore reality, or keep telling ourselves stories of “should haves”, it gets us nowhere other than feelings of self-defeat, and sometimes shame. These stories are born on that teetering edge between “ACT NOW” and “I SHOULD”. Each moment in time is an opportunity to change – to ACT upon those “shoulds”. Not tomorrow, not in 5 minutes from now, not when you are done cleaning, or working on the computer. NOW. Each moment is a gift and you have complete control over how you use that gift. You never know, the way you decide to use each moment may change your life forever. The NOW can change your mindset, your insulin levels, your hydration levels, and your health. The NOW can launch you into a new habit of self-care and self-love. 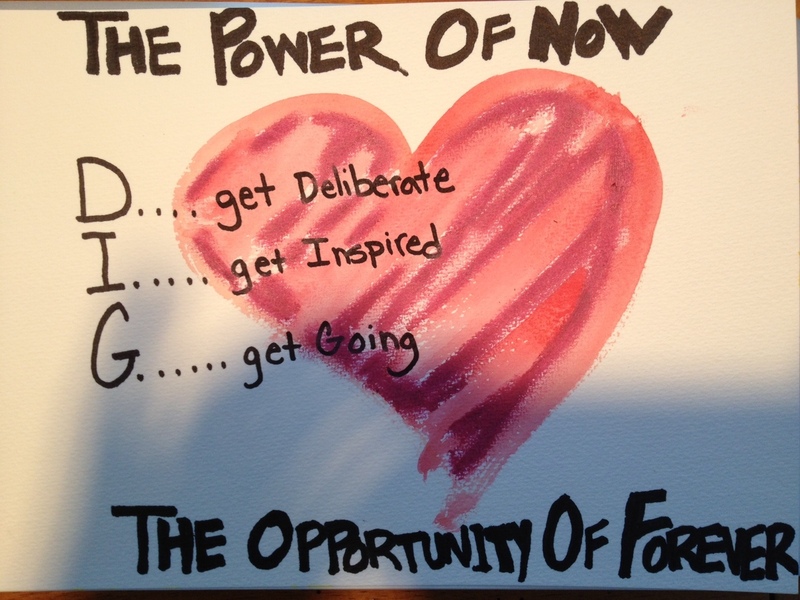 The power of NOW, can give you the gift of forever by instilling a new lifestyle. And after all, gaining a lifestyle of health and joy is what we are all about. So right NOW, stop what you are doing – and act. Take a new step that will lead you towards habits of health and happiness. The lesson that procrastination takes way more time than actually just DOING the thing we want to do is an incredibly valuable one! Thanks Jenny.